Potato is a very versatile ingredient and can be cooked in as many ways possible. 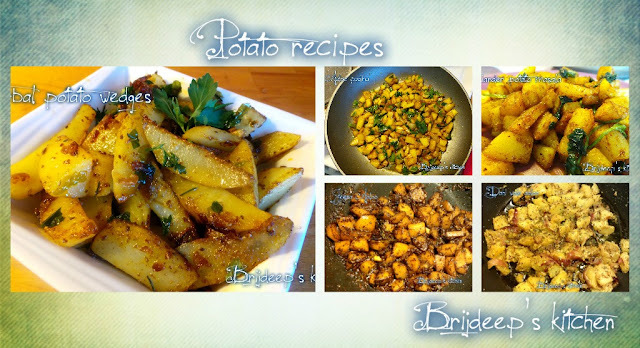 Even though this vegetable can be paired up with almost every other vegetable, I'm sharing five different methods to prepare just the potatoes without any other vegetable. These all are different from each other and each one tastes wonderful. 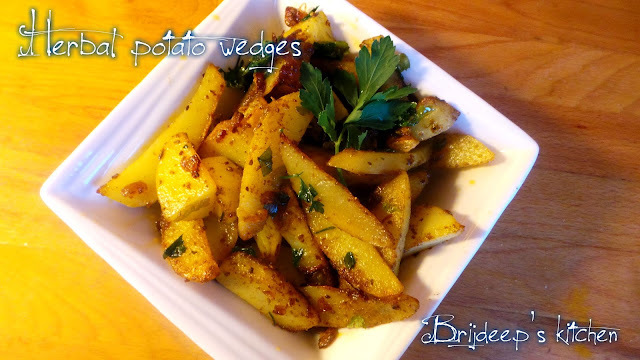 All these recipes can be served as a side dish with chappati, poori or paratha and because all of these are dry vegetables, these can easily be packed in lunch box. This is a basic potato recipe in which the potato in cut into fine wedges and fried in herbs to give the whole vegetable a smothered in herbs feel. Heat oil and crackle the carom seeds and add the chopped garlic. Let fry until the garlic starts getting brown. 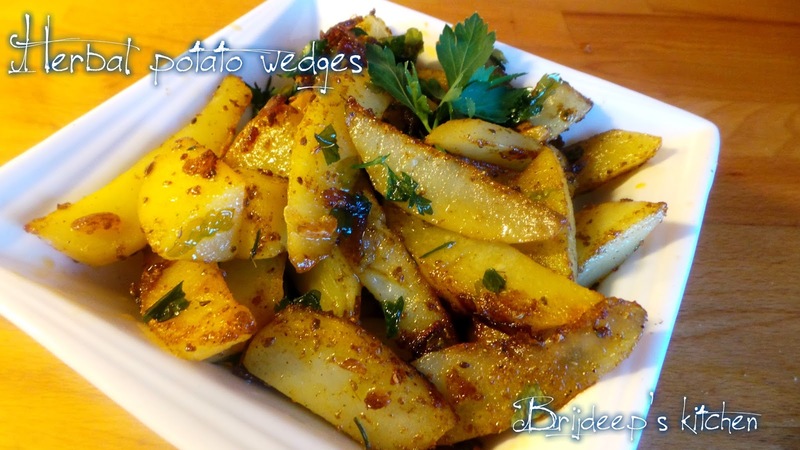 Add the potato wedges and salt to taste. Mix and let cook for few minutes. Add the rest of the spices: red chilli powder, mint powder and coriander powder and mix everything well. 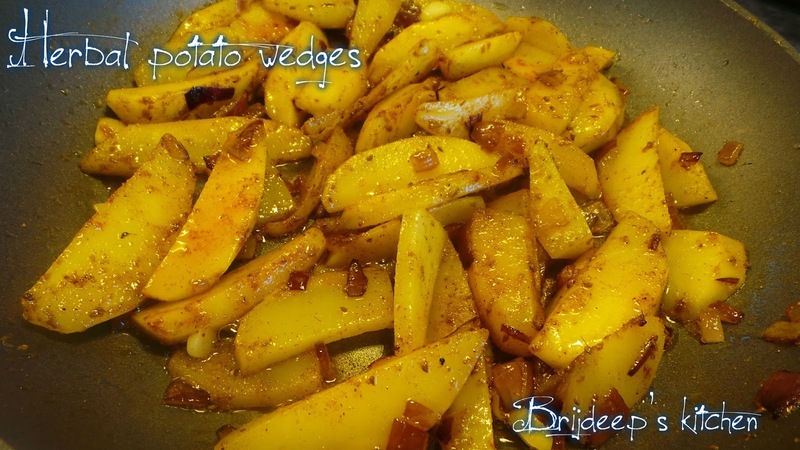 Let cook for about 10 minutes or until the potatoes are almost done. Add the finely chopped parsley leaves and coriander leaves and mix well again. Let cook for another 2-3 minutes and turn of the flame. Add a dash of lemon if required and serve. 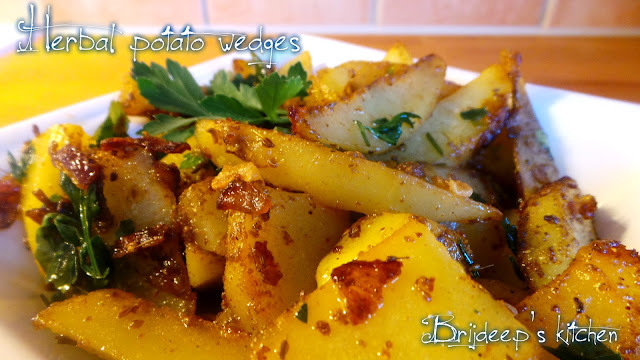 This is a recipe where chopped potatoes are fried with spices and freshly chopped mint leaves to give a fresh, minty flavor to the fried potatoes. Heat oil and add the cumin seeds. When they crackle, add the ginger and garlic and fry for about a minute. Add the cubed potatoes and salt and mix well, let cook until the potatoes are completely done. Fry them in open flame pan, do not cover. Add red chilli powder and turmeric powder and mix well. Cook for another minute and turn off the flame. Add the garam masala and cover. Remove cover after 5 minutes. 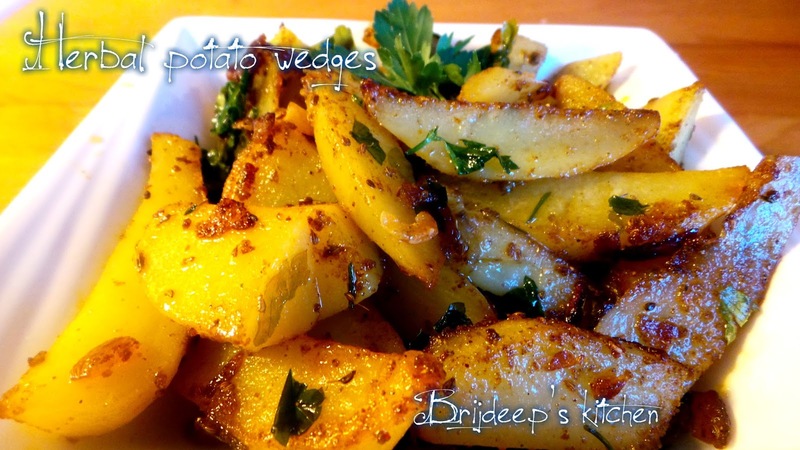 Garnish with coriander leaves (optional) and serve as a side dish with chappati or poori.